It’s a journey that’s downright deceiving. When checking the distance and drive time on google maps, it’s only a mere 45 miles from Paia to Hana along the Hana Highway, but it takes at least 1 hour 40 minutes just to get there – and that’s without encountering any vehicular resistance (traffic), uncooperative weather or taking time out for stops. If you’ve never driven the road to Hana, you won’t understand why there are t-shirts that say, “I survived the Road to Hana… and it was worth it!” A challenging 620 hair pin turns and 59 one lane bridges should be an indication that it’s really a total survival challenge more than a race (and FYI: you need to accept that you probably won’t get above 20 mph the entire way)!!! Realistically, the drive is anywhere from 3-5 hours each way if you’re not planning on breaking the speed limits or running people off the road (which can be additional hazards when driving it yourself)! And, keep in mind that the speed limit is 25 mph – and that’s only without traffic, jay walkers or “looky loos”, which doesn’t occur often. Or better yet, just take a tour so at least you don’t have to worry about the last 3 on the list! This is always the most exciting, and often the most frustrating, parts of the trip if you’re driving it. The highway is so full of beauty that most tourists can’t resist just trying to stop at the first few waterfalls, which often creates a serious traffic nightmare. 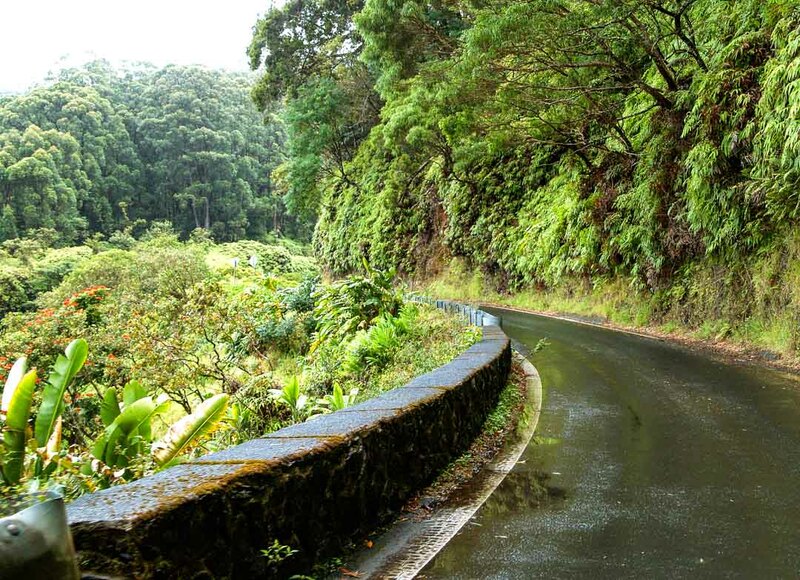 The road is narrow almost everywhere and any seasoned road to Hana driver knows there are a number of wonderful world-class waterfalls and other attractions farther down the road that the novice usually won’t find. You have to know where to go and unless you’re a local, you’re probably not going to find them easily. In short, the guide books don’t tell you where the best stops are, just the most popular ones. So, unless you do some incredible research to find the exact locations and easily missed turn offs of these geographic gems, you can expect to get quite frustrated and then you’ll be dealing with a lot of people (who also have been looking but have chosen to throw in the towel and you’ll all return without seeing what you came to see). Another problem is there are many drivers who have just two people in a car that could seat more, which just makes an already bad traffic situation worse. So, be sure to keep that in mind when deciding how you’re going to go to Hana. 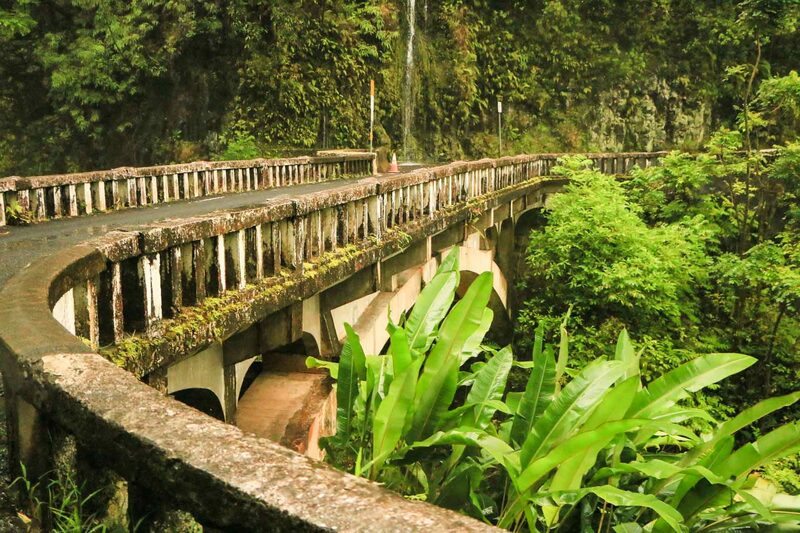 Why Choose A Road to Hana Tour? 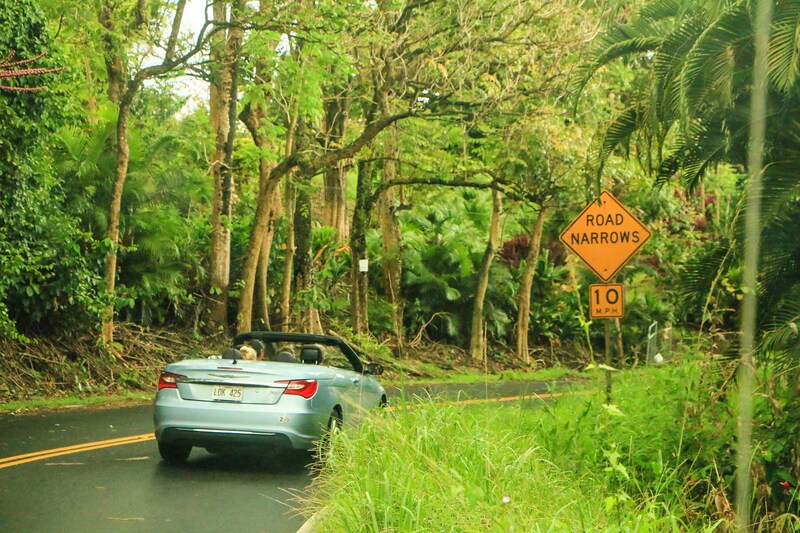 Don’t be surprised when your car rental agent asks you if you intend on visiting Hana. 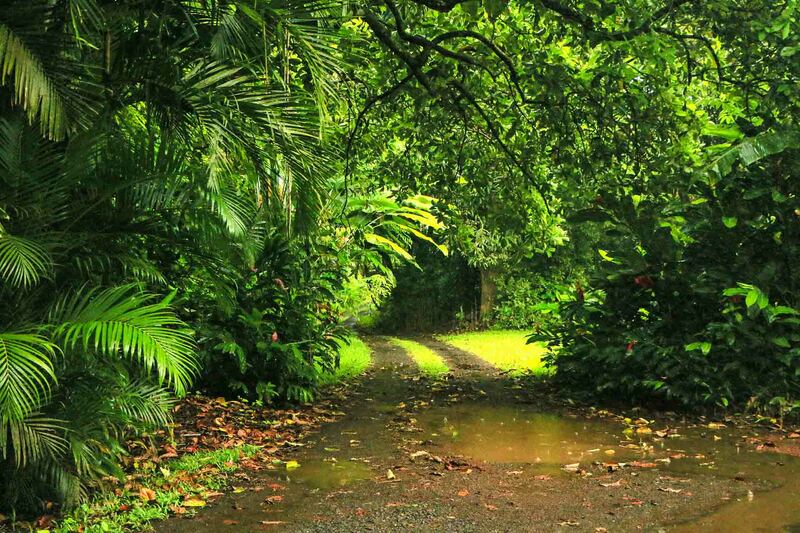 Most won’t allow their cars to go to Hana, and if they do there is usually a hefty surcharge, so be sure to ask ahead of time. And, don’t be alarmed if they ask you to sign a waiver if you do decide to go so that they are exempt from liability. The reasoning for this is more than justified. The number of serious accidents (many were fatal) involving tourists who became distracted by the road’s unquestionable beauty and the potential of the extreme potholes along the backside of the island doing severe damage to the rental cars has become an overwhelming issue for Maui’s car rental companies. Out of concern for the safety of their clients and their cars, they have taken action to discourage people from driving to Hana. This is a specialized group of local, highly trained, safe drivers who are very knowledgeable about everything “Maui” and, best of all, they’re full of aloha! 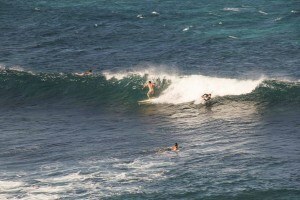 Many guests have said that the best way to learn about Maui is by “talking story” with your driver / guide. It’s definitely a fun way to learn about the island. The ancient legends, historical facts and a touch of local humor take you away to a time when things were simpler, albeit a bit more primal. The best guides consider it an honor to bestow the history of Maui to visitors. 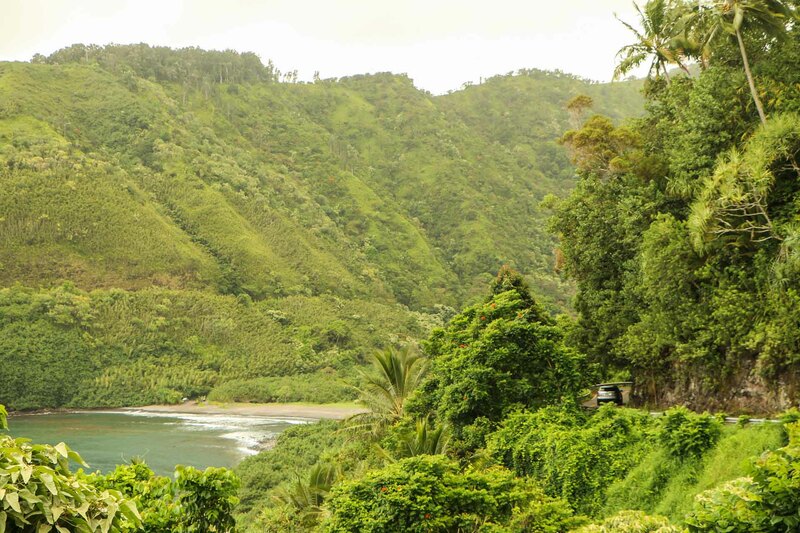 After many years of driving and showing guests the real Maui, a professional guide’s main objective is still to make sure you see the best that the road to Hana has to offer so that you thoroughly enjoy the trip. You will instantly feel as if you’re part of the ohana (“family”), because they love their job and it shows! The beauty of Maui culminates at the pools of Oheo. 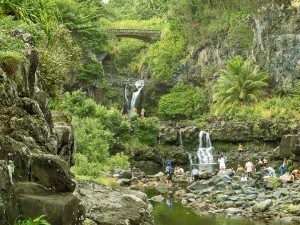 The bridge, numerous pools and waterfalls right down near the ocean bring excitement. Enjoy the park safely!